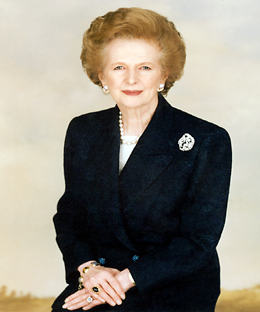 Margaret Thatcher became Britain’s Conservative Party leader and in 1979 was elected prime minister, the first woman to hold the position. During her three terms, she cut social welfare programs, reduced trade union power and privatized certain industries. Thatcher resigned in 1991 due to unpopular policy and power struggles in her party. A Soviet journalist called her the “Iron Lady”, a nickname that became associated with her uncompromising politics and leadership style.